Life is defined by moments. There are many moments in my life that I can pinpoint to the very day, that something life-changing happened. The day I met my future husband, the day we made it official, the day I realized my parents were human and flawed, the days I gave birth to my beautiful daughters, & the day I lost my Grandfather & best friend. Everyone’s moments are different and I sure vary on the spectrum of significance for each. I won’t bore you with my life story but rather fast forward to the purpose of this blog post and the day in time that I gained my self-confidence back. June 10th, 2017- We had only been here in Colorado Springs for about 4 days when I got a message from Gayla & Brittany asking me if I could come in for an interview for an admin assistant position at their office. Naturally, I said YES! And then panic set in and I went down my normal rabbit hole of worry as I realized I had no good interview clothes in my suitcase (we had just flown in from Italy), I was still jet-lagged, we didn’t even have a home yet, or our car, I hadn’t worked in 10 years who was I kidding, and on and on and on, until I was almost in tears on the hotel floor thinking I flat out wasn’t good enough & I was going to cancel it. Then my husband, as he always has for the last 16 years reassured me I was being silly & helped me solve each problem I had made up & I prepped for my interview. I went to the interview, Brittany and Gayla were gorgeous and I felt like a fat frumpy housewife, but I carried on masking my insecurities with a big smile. I remember sitting there apologizing for my appearance and trying to find all the right vocabulary to sound like the perfect person for the job. And then about 10 minutes in Gayla starts dropping F-Bombs like a WW2 fighter pilot. Some might have been confused but honestly, that helped me relax a little. We finished the interview and I headed home, already thinking they’d definitely wouldn’t be calling for a follow-up but to my surprise, they called me the next day and told me I had the job! I was so excited & nervous but for the first time in a long time, I was hopeful! You see after being a stay at home mom for 10 years I couldn’t even remember what it felt like to be needed for something other than dirty diapers, dishes, and dinner. This was the beginning of my new journey & I couldn’t wait to start…..AND THEN….reality set in and I couldn’t find reliable and affordable childcare for my youngest daughter. I again, felt inadequate and defeated, especially when I had to call Gayla and Brittany and inform them of this ultimately turning down the position. They gracefully accepted my profuse apologies and they hired another assistant in my place. I was so upset because I really felt like this was meant to be! Flash forward 4 months and my Facebook messenger lights up and its Gayla & Brittany asking me if I can come to their office, they have an idea for something I can do and work from home. Again, me shocked that someone (after 4 months) wanted ME still! I’d never heard the word transaction coordinator in my life, I didn’t know a thing about real estate and here I was being thrown contracts and clients from left and right and being trusted to keep peoples home sales and home purchases on track! There were so many mistakes and tears in the beginning but each time Gayla and Britt reassured me that I was doing wonderful, most of the time I didn’t believe them I was sure I was going to be fired. However, each month and file that passed I gained more knowledge and confidence not only in my professional understanding but my personal one too. You see Gayla and Britt not only taught me how to be a great TC but through their actions and words they taught me how not to doubt myself and have shown me what a badass I can be! That might sound cheesy or like lip service but it’s the god honest truth. They have given me more than they probably even know or would take credit for. Here we are 18 months after that first interview and our team has grown and our business has grown. I am so unbelievably proud to be a Property Mommy. I’m not perfect by any means and I still make mistakes and struggle with doubting myself, but Gayla and Britt have allowed me to grow & learn from it all while knowing they have my back. This isn’t something I take for granted, I know some days I’m not an easy employee but they love me despite my flaws because they have always seen what I am capable of even if I couldn’t at the time. This is not only what makes them an amazing duo but also what makes them the best people to help buy or sell your home. They are always going, to be honest with you, they will always pick you up even when you feel defeated, and they will always help you make your dreams come true (even the ones you aren’t aware of yet). Since the Americans With Disabilities Act (ADA) was passed, public spaces have become much more accommodating to people of all needs. However, the ADA doesn’t apply to private residences, which can make it harder to find an accessible home. But finding the perfect home for you is far from impossible. It helps that more home buyers are demanding open floor plans and larger spaces. This means that many of the features that make a home more accessible are becoming increasingly popular. You know better than anyone what your daily life is like and what you need in a home. But if you haven’t purchased a home before, the process of finding the right one can be daunting. You want to go into it with an open mind and an awareness of some decisions you’ll need to make. Do you want a home that’s move-in ready, or are you open to renovations? Is a certain neighborhood at the top of your list, or do other features come before location? Consider the kind of compromises you’re willing to make, and which compromises you should never make, like blowing your budget or not considering the school district. When you look at potential homes, it’s good to keep in mind the bigger picture as far as what features are most important. Some homes may already be set up with everything you need, while others will have potential for modifications. Entryways: If you use a wheelchair, you will need an entry that is level and doesn’t have steps. Even if you don’t find the right home with this feature, Aging in Place explains how adding a ramp is a relatively simple and affordable option. Mobility: Besides getting in and out, how easily can you get around inside the home? Finding a home on one level is ideal, but you may want to consider the addition of a stair lift if you find a home with stairs that suits your needs otherwise. Another consideration is the floor plan. Are the doors and hallways wide enough, or would you need to do renovations to open it up for better accessibility? Safety: Of course, safety is a critical concern for any home, and the biggest safety issues come from slippery surfaces. In the bathrooms, you want to look for added safety features like grab bars and roll-in showers. You may also want a comfort height toilet. When you’re looking at homes, it’s important to explore all possibilities when considering ones that need some additions or changes. Home Care Magazine explains how making modifications isn’t the same as remodeling. Remodeling is more complicated and more expensive, so you want to know the differences and how they impact your budget so you can factor those into your decision. Once you find the right home and start preparing for your move, there will be some small tasks you need to take care of before moving in. One of the first things you want to do is make sure your home is safe and secure. Getting the keys to your new home is an amazing feeling, but you never know how many of those keys are out there in someone else’s hands. With an online search tool, it’s easy to find the best locksmith near you to have locks and keys replaced. You may also want to consider adding smart home technology when you move in. Today’s smart home tech can connect just about any function in your house to the internet, giving you control with your voice or the touch of a mobile device. We recommend smart thermostats and smart lighting and outlets to make everyday life easier. The important thing to keep in mind is the extent of necessary renovations, your overall budget, and how big of a project you’re willing to get into. It may be harder to find an accessible home that’s move-in ready, but you should never compromise on more than you feel comfortable with. Your dream home is out there, and we’re ready to help you find it! Editor's note: A previous version of this article featured the Central City Masonic Cemetery, which is a private cemetery open to the public during daylight hours but closed at sundown and guarded on Halloween night. However, you can still get your ghostly fix from the Gilpin Historical Society, which hosts Creepy Crawls around the city, visiting numerous sites each October. Halloween is a magically spooky time in Colorado—colorful leaves abound, a cold crisp in the air, and plenty of century-old sites to explore. If you’re into ghost-hunting and traveling Colorado in the name of all things scary, here are just a handful of haunted spots all over the state, from 19th-century hotels and abandoned mining towns to ghostly cemeteries and places of unfortunate events. Cheesman Park is a delightful recreational area in the heart of Denver—the perfect spot for picnicking, jogging, walking the dog, or tossing around a football. But originally, the grounds were the site of Mount Prospect Cemetery, founded in 1858, until a park was built on top of the graveyard, a la Poltergeist. In 2010, workers digging trenches for the park’s irrigation system discovered four skeletons from the abandoned cemetery. According to Doug Gibbs, project manager for Colorado Designscapes, Inc., metal casket hinges were found, but the wood caskets had completely decomposed. Learn more at cheesmanpark.net. If you’re in the Royal Gorge Region and looking for a scare, stop by the Museum of Colorado Prisons—a structure that shares a stone wall and armed towers with a prison that has been in continuous operation since 1871. With over 140 years of history, the cell house has two floors: 30 inmate cells on the upper level, and archival storage, original kitchen, and isolation cells on the lower level. Tour the creepy exhibits, which include stories of famous inmates—most notably, a man who was convicted of cannibalism and a 12-year-old boy convicted of murder. Eek! Learn more at prisonmuseum.org. Numerous 19th-century lodgings swarm Colorado, but not many can say they were converted to a hospital during World War II, which hosted as many as 500 injured military personnel in its chambers, nor can they boast of giant ovens in their basement, supposedly once used as crematoriums for the dead. But alas, the Hotel Colorado in Glenwood Springs can say just that, and more. Its ghostly reputation is also attributed to the spirits of the area’s Ute Indian inhabitants, who frequented the hot springs before their untimely exile. Learn more at hotelcolorado.com. Molly Brown, the famous survivor of the Titanic disaster in 1912, once lived in this Victorian Denver home built in 1889. With over 100 years of history and at times serving as a private residence, an apartment complex for young men, and a home for wayward girls, the house is associated with eerie ghost lore—including hauntings from Molly herself—and frequent visits from paranormal investigators. Acting now as an educational outlet, the Molly Brown House Museum offers historical tours of both the house and the neighborhood. Learn more at www.mollybrown.org. Officially founded in 1880, the once-flourishing Colorado town of St. Elmo was an active gold- and silver-mining hot spot, with a population of nearly 2,000 people. At its peak, Mary Murphy Mine, the area’s largest mine, recovered $60 million worth of gold. St. Elmo was a hub for supplies arriving by train, and The Denver, South Park, and Pacific Railroad tracks went through the town, continuing on through the historic Alpine Tunnel. But in the early 1920s, when the mining industry began to dwindle, the railroad discontinued service to St. Elmo, resulting in a mass exodus… except for two eccentric residents, a brother and sister duo named Tony and Annabelle, who toughed out the abandoned location and harsh winters through the 1950s—after even the postal service discontinued. They were eventually sent to a mental institution, leaving St. Elmo’s population at zero since. The Hotel Jerome is a luxury stay in Colorado’s ski resort town of Aspen—not exactly what comes to mind when seeking otherworldly adventures. But this hotel is known for its “unique blend of contemporary luxury and historic heritage.” Jerome B. Wheeler built the hotel in 1889, 9 years after the town of Aspen was established at the height of silver mining—in 1880, the largest silver nugget in history was excavated from the local Smuggler Mine. The hotel was booming with visitors until Aspen’s “quiet years” when the silver mines began to close—from there, people moved into the hotel for $10 a month including meals, and then the space was renovated to become the center of the town’s social life. Hauntings of The Hotel Jerome are rumored to include the ghost of a boy who drowned in the property’s swimming pool and a maid who became ill and died after falling into an ice-cold pond. Learn more at hoteljerome.aubergeresorts.com. Georgetown is a National Historic Landmark District, and , with 240 protected buildings, it’s practically a museum. Anne Marie Cannon created the Silver Queen Walking tours in response to a high level of interest in historic tours of the town, and in the fall of 2017, she added ghost tours. Cannon explains to her tour groups that spirits and ghosts are attracted to the familiar, and because Georgetown’s architectural landscape and the mountains surrounding it haven’t changed much since the town was founded in the mid-1800s, a lot of people have crossed over but are still lingering in town because it’s familiar. Her tour combines history and ghost stories and has eight stops, including a Victorian home. They will run throughout October. During the holidays Cannon will continue to provide her historical walking tours and then take a break until spring. Book a tour at SilverQueenWalkingToursBlog or call 720-608-0609. Private tours can be arranged. Cripple Creek is riddled with haunted places—Buffalo Billy’s Casino, Hotel St. Nicholas, Mamie R. Mine, and the Mt. Pisgah Cemetery, just to name a few—but its Colorado Grande Casino and Hotel takes the cake when it comes to a long, sullied history of supernatural happenings. Encouraged by the gold rush in the late 19th century, the community’s population skyrocketed from 500 in 1890 to 10,000 just three years later. But tensions between union workers and mine owners caused hardships and excessive violence in the area. The Colorado Grande was built in 1896—a three-story brick building which now stirs with the spirits of its former gamblers and guests. Maggie, the most famous of its apparitions, smells of roses and is seen playing slots with an unnamed male partner. Learn more at coloradogrande.com. 1. Updated bathrooms, at the very least a large master bath. 3. A dedicated office space. 4. Location is key, we want to be close to amenities. 5. 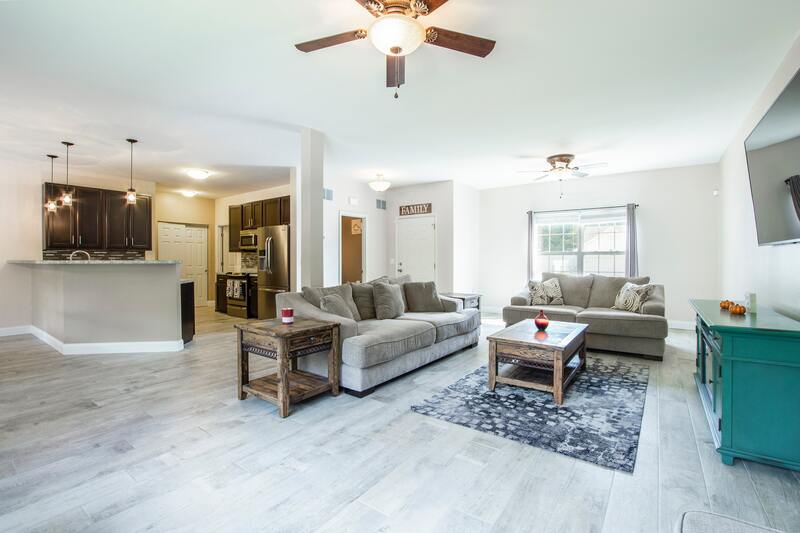 Open floor plan with hardwood floors, we like a good flow. Tip of the Week: We are seeing the market begin to change. Homes that would normally go quickly are instead sitting on the market for longer than anticipated. This means you need to price your home correctly and make sure it is in good condition. Next week tune in for a monthly market recap. First-time homebuyer and not sure where to begin? Selling your home and are worried about pricing it correctly? We can help with that and more! Just give us a call at 719.822.1MOM! This week we are at The Farm community in North Colorado Springs with special guests Karen and Liz who are reps for the builder Vantage. Karen and Liz discuss with us what sets Vantage apart from other builders in the area, the most popular upgrades they are seeing today, and the future amenities that The Farm will offer. Vantage believes in the importance of customer service and communication with clients to make sure your home building process is as smooth as possible. Be sure to take a look at our Facebook page to see Vantage's most popular floorplan! Tip of the Week: If you're selling your home, stage it! 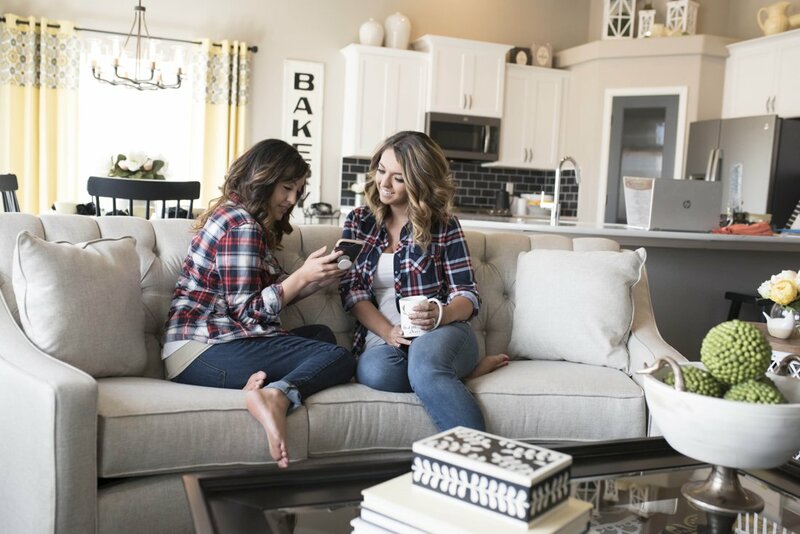 If you don't want to hire a professional stager, look on Pinterest for tips or call us at 719.822.1MOM and we can discuss tips as well as give you our Pre-Listing book that has a staging section in it. Tune in next week when we discuss the top things millennials are looking for when they're walking through your home and their list of must-haves. In today's video, we are bringing you a quick market update from this past June for the Colorado Springs and surrounding areas. We will also be comparing last years numbers in June to this years and let you know what that means for you as a buyer or as a seller. Tip of the Week: Prices matter! If you're going to list your home, list it correctly or it will sit on the market for longer than it should. If you're working with tight numbers call us at 719.822.1MOM and we will see if we can work around them. We have many military clients so are used to working with tight numbers and will do our best to get your house priced correctly for you and for the current market. Tune in next week where we'll be at one of the Vantage model homes up at The Farm in North Colorado Springs with Karen. We are going to see what Vantage does to stand out from all the other builders in The Springs. This we week we are talking to our sellers about why you should accept a VA loan offer! Don't listen to the rumors you've heard because using a VA buyer can, in fact, benefit you as the seller. For one, if the appraisal comes back lower than the listing price, the listing agent has the opportunity to prove the home's worth to the appraiser. Second, VA turnaround times are quick which allows you to sell your home faster than with other loans. Lastly, qualifications for a VA loan aren't as strict so this allows the buyer to afford more of a home since VA fees and interest rates are lower than other loans. Tip of the Week: If you're thinking about buying, it's still a really good time! Rates are still fairly low but will rise by the end of the year. As well, homes are appreciating faster so you're also saving money by purchasing now. If you have any questions regarding buying or selling don't hesitate to call us at 719.822.1MOM! Next Week: The numbers are in! We will be going over a quick market update for Colorado Springs for June. This week we have great news for our buyers who may not have initially qualified for a home loan. Recently, there have been four changes put into effect that will no longer count against your credit score. So even if you've talked with a lender in the last six months to a year, we highly recommend talking with them again to see if these changes have positively impacted your score. 1. Collections that are not at least 180 days old will be rejected by all three of the major credit bureaus. This will allow you more time to pay them off before they are reported. 2. Medical collections will no longer show as long as they are being paid whether it's by you or by your insurance company. 3. Collections that have not been updated in the last six months will no longer be a factor. 4. If you do not have an agreement with a contractor and are sent to collections it will not longer show on your report. These changes will now allow those of you who thought you couldn't qualify for a loan to now be able to do so! So call us at 719.822.1MOM and we will not only help you buy your dream house but also set you up with an awesome lender to help you get approved for your loan! Tip of the Week: If you're looking to buy now is the time to talk to a lender. Even if you met with one last year call them up and see how these credit rule changes will impact your credit score. These changes could be benefitting you! Tune in next week when we go over the top three reasons why sellers should be looking at VA offers over FHA or conventional loan offers. In this week's video, we are going over a quick market update for our buyers and sellers! The market is beginning to slow down and by slowing down we mean houses are selling within a week instead of within a few hours. This is good for buyers who are still on the fence about buying because this allows you more time to find your home and will help you to avoid potential multiple offer situations. For our sellers, this is still a good thing! Your home will still sell quickly but will also give you the time to make sure your home is show ready. Tip of the Week: We know we say it all the time, but if you're thinking about buying now is the time! The market is slowly steadying itself out so now you're able to make an offer at a more comfortable amount and not have to worry as much about other offers. If you have any questions we are always available at 719.822.1MOM. Next week we'll be discussing credit rule changes which will be good news for those of you who may be discouraged about qualifying for a home loan! How to Handle Multiple Offers as a Buyer and as a Seller! With the market we are currently in, houses are selling like crazy causing multiple offer situations. So today we want to discuss with you how to handle multiple offers whether you are a buyer or a seller. Buyers need to be prepared to make multiple offers on multiple houses since the market is so competitive. We also discuss why being pre-approved is better than being pre-qualified. For sellers, it's important to look at all the offers and not just accept the highest one, as well it's important to have the right team on your side to help you decide which offer is best for you and your home. Tip of the Week: If you want to know how much your home is worth right now, give us a call at 719.822.1MOM! We can come and asses your home for free. We will be able to tell you what your home is worth and what things could be done in order to raise your equity even more. Thanks for tuning in and be sure to join us next week when we will be featuring a special guest!